As soon as I finished my All at Sea shawl I started on another V stitch creation. I experienced another flare of enthusiasm where I found it hard to stop and go to bed at a sensible hour. But then….I ran out of yarn. If you grab an odd ball of something from your stash this is in danger of happening, but it doesn’t really matter does it? You just reorder some. It doesn’t turn out to be so easy when Lang seems to have stopped making Tosca Light. Argh! I searched my favourite yarn shop’s bargain bins. There were only two balls of brown. No thank you. Then I started Googling online stockists and checking eBay. Artyarn in Lincolnshire was one of the last online shops to have any Teal. I nabbed their last ball of raspberry too while the going was good. The parcel arrived today and I was so pleased I actually whooped. 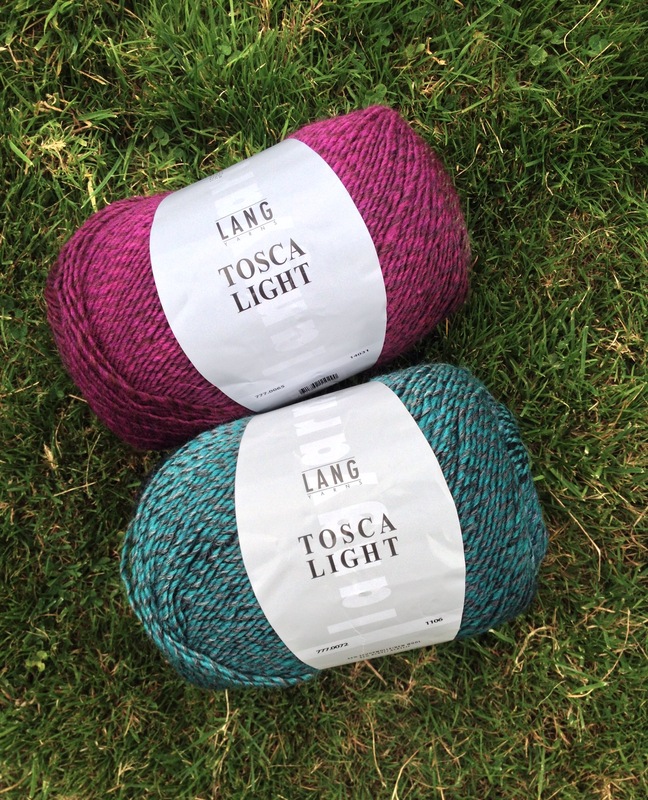 I like Lang’s Tosca Light so much so that when I was Googling, this blog and my photos of finished items, kept appearing on the search results. I must be a proper fan! The teal and grey yarn is hard to photograph looking the green that it is, rather than blue. This is the best photo and I’ve taken a lot. Onwards with the crochet at last! Yippee. Drama on Freeview has been showing Bread from the first episode onwards and it’s perfect to V stitch to. I’ll post details of the pattern when it’s finished, if you’re interested? PS: Lang haven’t stopped producing Tosca Light, I’ve found to my relief. I’m about to start working on some scarves for Christmas gifts to family since my immediate family is about eleven people going on 13 now. I have a green granny square blanket that I work on when I don’t want anything taxing and an Avatar Air Bender blanket when I do. :) That teal is a gorgeous color! Sounds good having various on the go projects, organised too but no mentions of the C word here yet! Oh my god! I love that series so much!! What time us it on? 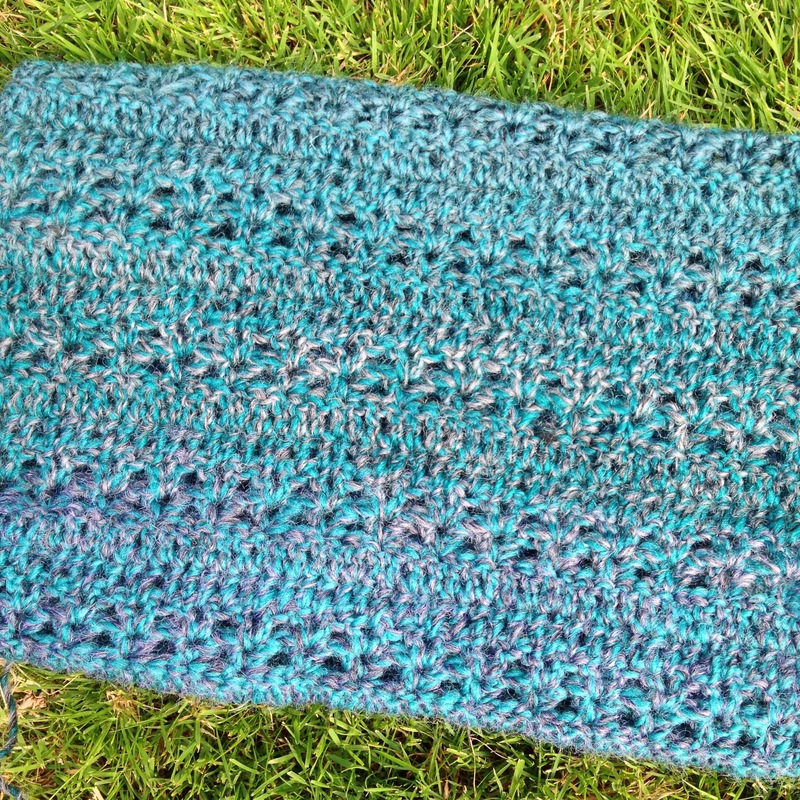 My v stich cowl needs a post of its own!! We record it and watch whenever…it’s 640pm nightly on Drama. What a beautiful shawl and I’m so glad you found the yarn. Have a great weekend my friend . And you Taci, hope it is a good one.